Comments: Excellent condition. Fast shipping. 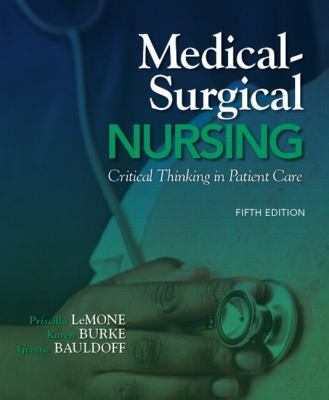 Karen M. Burke, Gerene Bauldoff Priscilla LeMone is the author of 'Medical-Surgical Nursing: Critical Thinking in Patient Care (5th Edition) (MyNursingLab Series)', published 2010 under ISBN 9780135075944 and ISBN 0135075947. Loading marketplace prices 42 copies from $0.51 How does the rental process work?